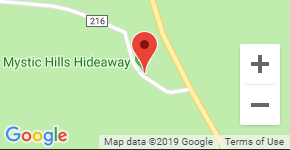 Mystic Hills Hideaway is located 10 miles south of Deadwood, South Dakota on Highway 385. Click the map above to route your trip. For RVs and Trailers, please take the first left into the drive way in front of the Lodge. If the parking lot is crowded, leave your rig parked to the side of the road and come check in. We'll give you directions on how to get into your site from there! If you are bringing your own ATV or UTV to ride the trails, you will need to purchase a Black Hills Trail Permit. They are $20 for a 7-day permit or $25 for an annual permit. Mystic Hills sells permits. If you are planning to ride your machine on the highway and you are not already licensed in your State, you will need to purchase a temporary license plate. This can be obtained from any South Dakota County Treasurer's Office. The nearest one to us is located at 90 Sherman St. Deadwood, SD 57732 and can be contacted at 605-578-1862. Download the Lawrence County ATV Info Sheet below. Note: If you are renting one of our machines, you do not need to worry about this as all of our rentals have permits and license plates. Here is the link to the State of South Dakota's FOUR WHEEL, ALL TERRAIN VEHICLE AFFIDAVIT form that you'll need to fill out if applying for the temporary license plate. The Black Hills National Forest offers 3,600 miles of motorized travel with 650 miles of system trails. Mystic Hills is in the Northern Hills Ranger District and the nearest map point is the Custer Peak Lookout Tower. At Mystic Hills, we offer maps for free and also highlighted, laminated maps for sale. Additionally, the Northern Hills Ranger District map can be downloaded in PDF format onto your computer or you can also download maps onto your smart phone via the Avenza app. Visit the Black Hills Forest Service web site for more information. For most bookings – Cancellations are subject to a $25 cancellation fee (usually your deposit). If a cancellation is made five days or less prior to check in, guest is charged for the entire stay unless we are able to re-book then we will refund your payment less the $25. Sturgis Rally Week – Full payment required at time of booking. $100 cancellation fee for cabins and $50 for campground sites and payment is non-refundable 60 days prior to check in. However, if we are able to re-book, we will refund your payment less the cancellation fee. Group Reservations (4 or more rental units or RV Sites) – 25 percent deposit required at time of booking. $100 cancellation fee if cancelled at anytime and the deposit is non-refundable 30 days prior to check in, unless we are able to re-book, then we will refund your payment less the $100. If cancelled 5 days or less, guest is charged full cost of stay. 2020 Reservations – We will start accepting summer 2020 reservations on January 15, 2020 at 8 AM Mountain Time. We're delighted you chose Mystic Hills Hideaway as your place from which to explore the Black Hills. We appreciate you abiding by our campground rules in order to ensure everyone at the resort enjoys their stay. Check Out Time: 10 AM. If you need additional time just give us a heads up and we’ll do our best to accommodate you. Failure to comply can result in an additional night charge. Quiet Time: Quiet time is from 10 PM until 7 AM. Failure to comply will result in a dismissal from the property. Camp Fires: Some summers are hot and dry and we are occasionally not allowed to have campfires – please check with us first before lighting your fire. When we are able to have campfires, please do not collect wood from the forest. We offer bundles of wood for sale at the Lodge. Guests attempting to burn large logs or trash will be charged a $20 clean up fee. Bringing in your own firewood is prohibited by the South Dakota Department of Agriculture. Driving: Please keep speeds under 5 MPH on the campground and refrain from tearing out in the parking lots or the grass. Entry to the adjacent gravel pit is strictly prohibited and potentially dangerous and is subject to a hefty fine and possible legal ramifications. Dog Friendly: Dogs are welcome, but please Clean Up after your Pooches. Do not leave barking dogs unattended in a campground site or cabin. Please keep your pet leashed unless he/she responds to vocal commands. No Smoking: No smoking in the cabins and please pick up your cigarette butts when smoking outside. An additional $500 cleaning fee will be assessed if a guest has smoked in a cabin. When smoking outside, please dispose of cigarette butts in sand bucket. Returning Items: If you move any items around during your stay, please return them to their original place (grills, dishes, skillets, picnic tables, etc) or face an additional $20 fee. Keys: $10 fee charged for any missing cabin or rental unit keys. Hunters: Do not clean game on the picnic tables. Hunters who do so will be charged for a new picnic table. Hot Tub: If the hot tub requires draining after a guest’s stay due to misuse, guest will be charged a $100 Cleaning Fee. 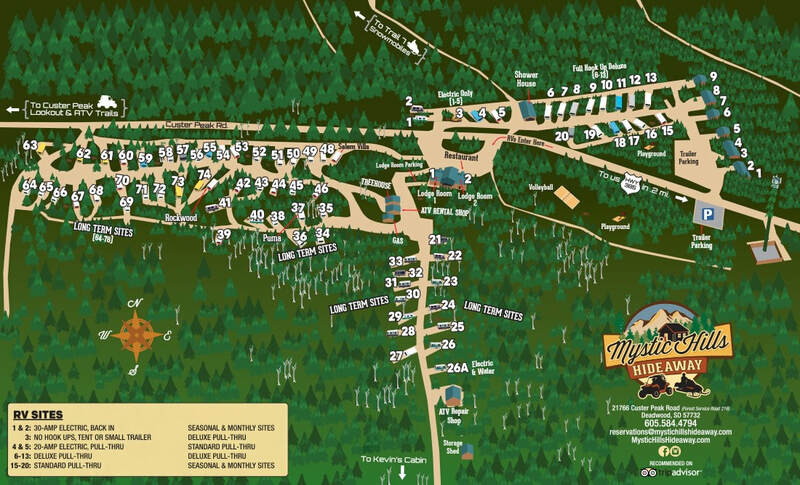 Garbage: Garbage dumpsters are located in three locations 1) in trailer parking near the cabins and 2) in trailer parking next to the Lodge 3) south side of the shower house. Do not put garbage in the sand buckets outside the cabin or in the fire ring. Check out Procedures: Leave key on kitchen table. Take garbage to the dumpster. Do not leave windows or doors open.